Xploding Plastix er nå "hjemme" igjen, de har signet en avtale om to nye album på Beatservice Records!! Xploding Plastix består av Hallvard Wennersberg Hagen og Jens Petter Nilsen. De debuterte med et brak i 2000 med singelen "Treat Me Mean, I Need The Reputation". Singelen ble umiddelbart en undergrunns-hit, og banet veg for debutalbumet "Amateur Girlfriends Go Proskirt Agents" i 2001, et album som raskt fikk klassikerstatus, og som er ett av de bestselgende norske undergrunns elektronika-albumene noensinne. Etter debuten forlot Xploding Plastix Beatservice Records til fordel for major-selskapet Sony, og i 2003 slapp de albumet "The Donca Matic Singalongs". Begge albumene har blitt nominert både til Spellemannsprisen og Alarm-prisen. Siden siste album har de jobbet mye med musikk til kortfilm, film, TV-produksjoner og radio. De har samarbeidet med Kronos-kvartetten, satt opp danseforestillinger i Serbia, laget musikk til Rimbereids "Solaris Korrigert", gitt ut Domestic Engine med side-prosjektet Piston Ltd, samt jobbet med det andre sideprosjektet The Electones. Til høsten slippes omsider nytt materiale, albumet Treated Timber Resist Rot fortsetter utviklingen fra The Donca Matic Singalong, men beveger seg i et mer overskyet, organisk og avdempet lydlandskap, men fremdeles med en snirklete leftfield-elektronika bestående av intrikate rytmestrukturer, fengslende melodiske figurer, og en særs idérik instrumentering i bunn. I tillegg skal også Beatservice Records slippe en lettere omarbeidet versjon av ”The Donca Matic Singalong” for eksport og digital nedlasting, samt EP’en ”Devious Dan” med en del snop fra arkivet. 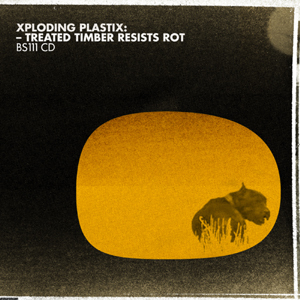 Xploding Plastix has come “home” again, with a two album deal for Beatservice Records!! Xploding Plastix is consisting of Hallvard Wennersberg Hagen and Jens Petter Nilsen. Their debut was the 7” “Treat Me Mean, I Need The Reputation” in 2000 which was an instant underground hit. It was followed by the debut album ”Amateur Girlfriends Go Proskirt Agents” in 2001, an album which quickly became a classic, and is still one of the all-time bestselling Norwegian underground electronica albums. A revisited version was later released in the UK by Palm Beats in 2004. After the debut, Xploding Plastix left Beatservice Records for the Norwegian branch of the major company Sony, and in 2003 they released their second album “The Donca Matic Singalongs”. Both this album and the debut where nominated to the Spellemann award (Norwegian Grammy) as well as the Alarm award (an alternative Norwegian award). Since then, they have mainly worked with music for short films, film, TV and radio. They have collaborated with the Kronos quartet, commissioned a dance performance in Serbia, released the album “Domestic Engine” with the side-project; Piston Ltd, plus worked with their other side project; The Electones. In the autumn, they are finally releasing new material. The new album ”Treated Timber Resist Rot” continues the development from ”The Donca Matic Singalong” album, but moves into a more clouded, organic toned down sondscape. However still with a quirky leftfield electronica as the basis, mixed with intricate rhythm structures, melodic themes, and a creative instrumentation. In addition, Beatservice Records will also release a revisited version of ”The Donca Matic Singalong” for export and digital download, plus the EP ”Devious Dan” with some tracks from the archives.